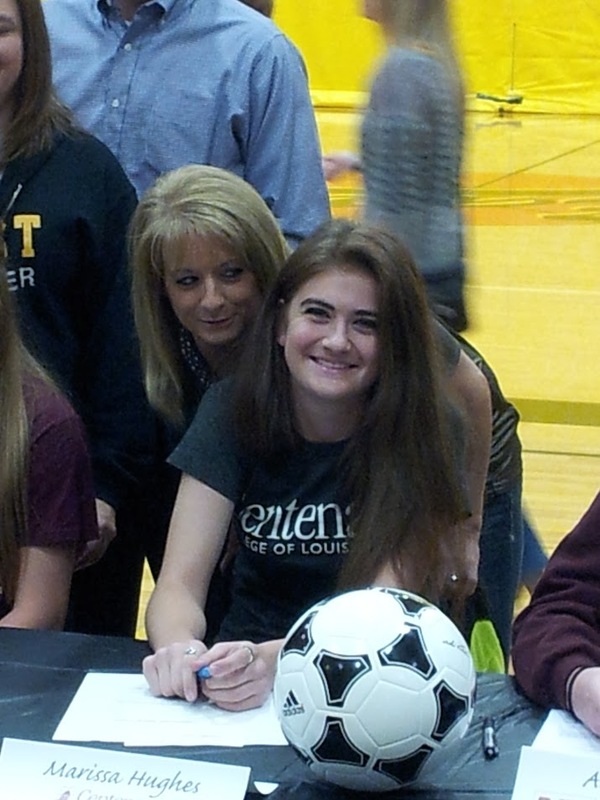 Marissa signs a National Letter of Intent to Centenary College. Big Week! Had a nice 10 mile run in the hills in Las Vegas on Monday. Easier 6 mile run Wednesday. Then a hammering 12 miler on Saturday. The run is coming together nicely. Bike on Sat and Sun both with sore legs. Sunday morning it was the coldest I had been out on the bike all year - right at 32. Solid Swim on Friday and Sunday and not bad on Wednesday.